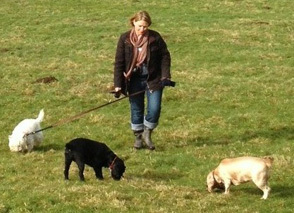 Dog Tired are a small, professional dog walking and pet sitting company based in Tollerton. We are committed to providing a reliable service for both you and your pet in a friendly, caring and professional manner. The Dog Tired team are all genuine animal lovers and have experience with owning dogs, small animals and birds. All pets deserve to be healthy and happy. However, at times, this can become difficult to maintain due to our increasingly busy lifestyles. Working long hours or being unable to fully care for your pet can mean they do not receive the regular exercise which they require. It can also have an impact on their feeding pattern, medical requirements and the need to play. For Dog Home Boarding we have licenced sitters in the York and Easingwold areas. We will continue to use your services as we knowing it is the best for [Jackson and Milo] and reassuring for us. I imagine we will need to use Dog Tired in the future and can highly recommend your dog walking service to others. I have used you a few times and now that he is able to go out I know you will always be there to fetch him back inside, feed him and cuddle him twice a day. I trust Nicki 100% with having access to my house. She is very reliable and provides a friendly and professional service. I can recommend Dog Tired to all pet owners needing help. Our dog Cass is a real live-wire and we thought that nobody would be able to control him on his walks... We have used [Nicki] regularly since and she says Cass is no problem for her at all which we are really pleased about. We may even try it for longer periods this year too, seeing as Jessie is happy to see us when we return and doesn't ignore us (as she does when returning from the cattery). We have used Dog Tired home boarding service for our very elderly dog. Brilliant service and well worth paying that bit more for the personal touch.